A valid passport is a requirement for air travel to / from Canada, Mexico the Caribbean and Bermuda. Effective June 1, 2009 only a valid passport (unless otherwise noted below) or other WHTI compliant document will be accepted for entry or re-entry into the United States. The Western Hemisphere Travel Requirements are located at this site. U.S. citizens on closed-loop cruises (cruises that begin and end at the same port in the U.S.) will be able to enter or depart the country with proof of citizenship, such as a government-issued birth certificate and laminated government issued picture ID, denoting photo, name and date of birth. A U.S. citizen under the age of 16 will be able to present either an original, notarized or certified copy of his or her birth certificate, a Consular Report of Birth Abroad issues by DOS, or Certificate of Naturalization issued by U.S. Citizenship and Immigration Services. Note: Baptismal papers and hospital certificates are not acceptable. Voter registration cards or Social Security cards are not considered proof of citizenship. Card renewal is an important matter. ARC holders (United States permanent residents) with expired cards may be considered "out of status" and may be denied entry / reentry into the United States. If your ARC was issued over 10 years ago, you should check the expiration date printed on the front of the card. If your card is expired, or it is about to expire, you should renew your card before you sail. A valid passport is required; visas are required where they apply. This includes Europe, Asia, Central and South America. For additional passport information, visit www.travel.state.gov. 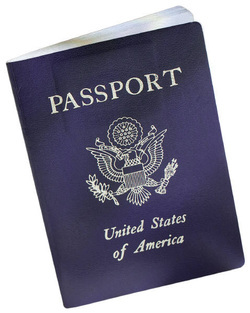 We strongly recommend that all passengers travel with a valid passport any time they are leaving the United States. This greatly assists guests who may need to fly out of the United States to meet their ship at the next available port should they miss their scheduled embarkation in a U.S. port; guests entering the U.S. at the end of their cruise; and guests needing to fly to the U.S. before their cruise ends, because of medical, family, personal or business emergencies, missing a ship's departure from a port of call, involuntary disembarkation from a ship due to misconduct, or other reasons. For additional passport information visit www.travel.state.gov.